Sooooo… I haven’t yet read a Leigh Bardugo **zig-zags and rolls**. OH YES I am SO excited for this one too! 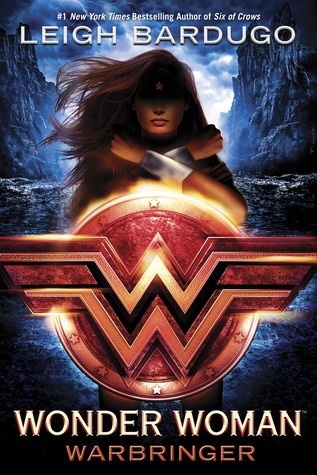 I adore Wonder Woman, and aIthough I haven’t read any of Bardugo’s books yet (*sighs*) I’m sure this book will be terrific! Omg Lindsey you pick all the books that I am excited for! (although I ever really did one WoW lol) BUT CANNOT WAIT. We are also getting the movie this year! SO MUCH AWESOMENESS. DYING FOR THIS ONE, but then again, I’m dying for any Leigh Bardugo stuff. I would read that woman’s shopping list 😀 Awesome pick! This may be my chance to try Leigh Bardugo! Seriously I think this looks really good- great pick! Can’t wait for this one. Greg recently posted…Would You Live Forever If You Could? Yes, it’s so different from her Grisha-related books so it could really be a great introduction to Leigh Bardugo 🙂 Hope you’ll enjoy!